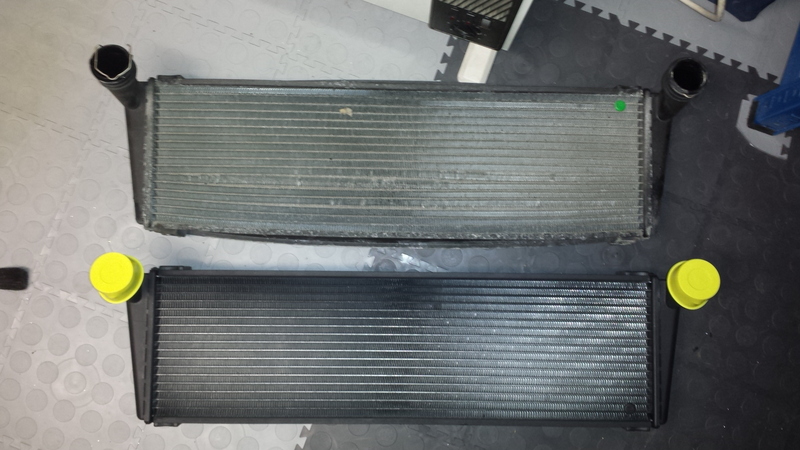 911uk.com - Porsche Forum : View topic - 997 turbo centre radiator change - how difficult can it be?? 911uk.com Forum Index > 997 (2004 - 2012) > 997 turbo centre radiator change - how difficult can it be?? 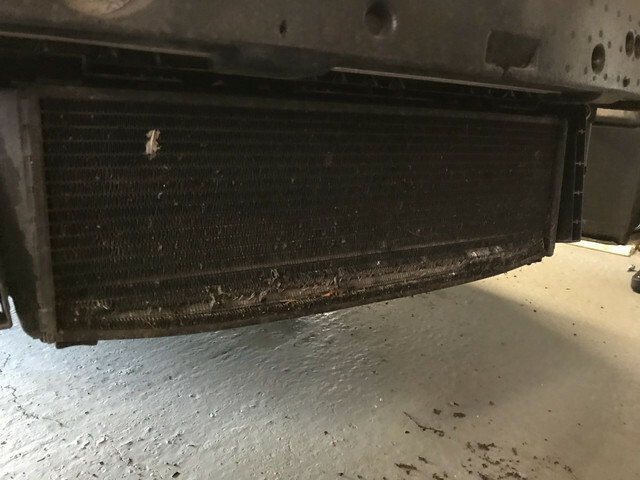 Posted: Sun Sep 30, 2018 7:49 am Post subject: 997 turbo centre radiator change - how difficult can it be?? Ive striped down the front end of my turbo and as you can see the centre rad has been pretty hammered with stones etc. I’ve got no cooling problems but I think it would be an idea to swap this out as I don’t want it failing on a road trip!! My main concerns about doing a DIY swap out is making sure the coolant is all OK when it’s replaced- when I disconnect coolant is going to be pi55img everywhere, anyway to minimise this. Also when topping my up how do you avoid any air locks??? I would clamp the coolant pipes and fill the new radiator before fitting the pipes. Changed mine on my last car and it was surprisingly easy. Got an exact replacement from Design 911, a Hella branded one, undo the bolts, un clip the two pipes and fit the new one, it really is the easiest job to do. You'll lose a bit of fluid but as it's a quick change over you shouldn't lose too much. Here's a pic of the new & old side by side. Think it cost about £300. Once you've replaced it get some Zunsport grills they stop a lot of the peppering they get from debris. Or £15 from eBay and 1/2 hour with some tin snips.